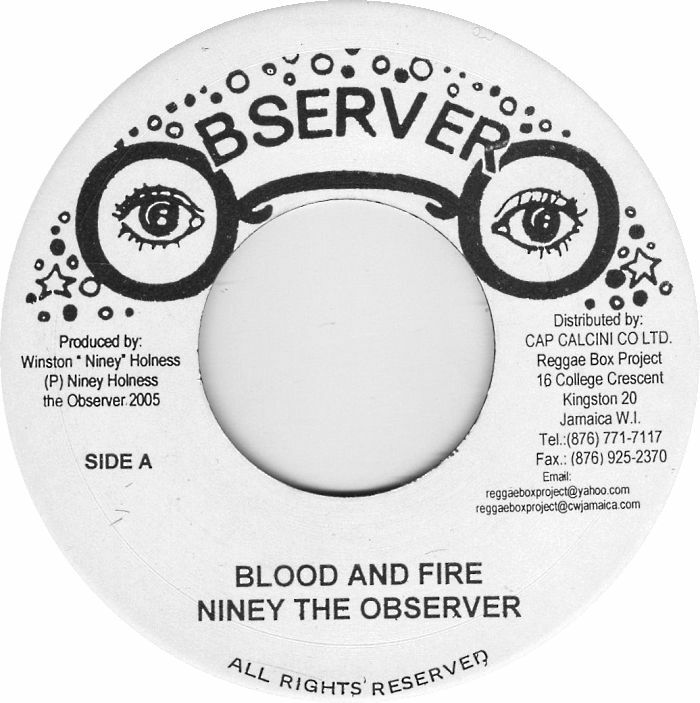 As you might imagine with a nearly 50-year-old reggae track, a lot of the exact details surrounding “Blood and Fire” are a bit sketchy: when and where it was recorded, who played on it, and so forth. Over a backing track that features a perfectly classic upside-down reggae beat, a bassline that slithers in and out of the mix and the reliable pia, Niney starts out in trouble, knowing that it’s only gonna get worse. With deceptively sweet backing vocals singing “Let it burn” over and over again, “Blood and Fire” thrives on the tension between the beauty of those vocals, the classic groove and the apocalyptic lyrics. 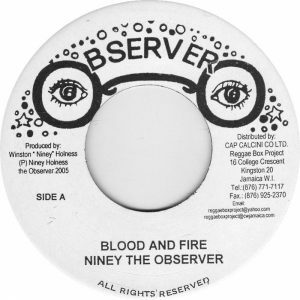 And so, every single time Niney chants “blood, blood, blood; blood and fire” you can feel yet another part of the world exploding; chaos and destruction everywhere, armagedion time where Jah is going to be totally and utterly merciless with the unrighteous. Or at least those who aren’t smoking sinsemilla. It would have made a helluva Clash cover, which I can state with relative surety, because it made one hell of a sample on PJ Harvey’s amazing 2011 Let England Shake album, though I’m pretty sure I first heard it on 2004’s highly recommended Scratchy Sounds: Ska, Dub, Roots & Reggae Nuggets.